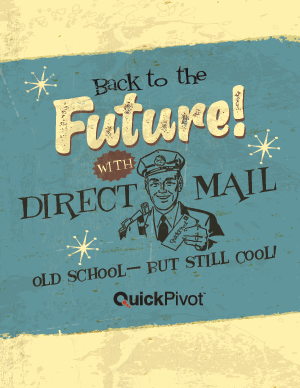 Modern direct mail creates opportunities that old time direct marketers never imagined. Pure direct mail campaigns can use digital data for better targeting than ever before. Advanced printing technologies allow greater personalization and quicker production. Tight integration with digital media allow multi-channel campaigns that use direct mail exactly when it’s needed, boosting results in ways that no other method can match. Building the infrastructure to take advantage of these opportunities isn’t easy. But the necessary technology is available and experts can help you deploy it. Take the time to find a sound solution and to implement it effectively. Marketers charged with maximizing their company profits can afford nothing less.